The Lazaro lineup of Men’s jackets come from such high-end brands as A. F. Artefact, Iijin, NO, NO, YES!, and Syngman Cucala. 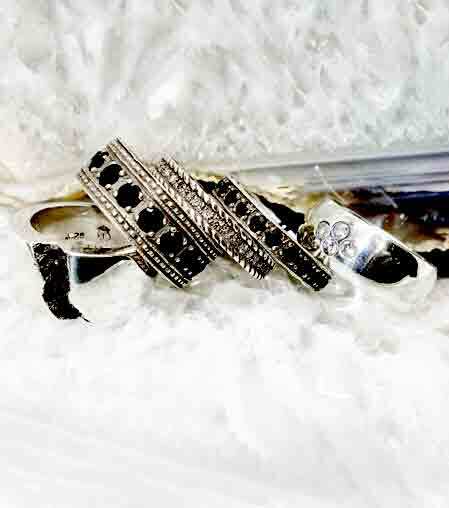 We make sure to only stock high quality and fashion-forward pieces that accurately represent the aesthetic consciousness of Lazaro. Each one of our jackets is a beautifully bold statement of personality. 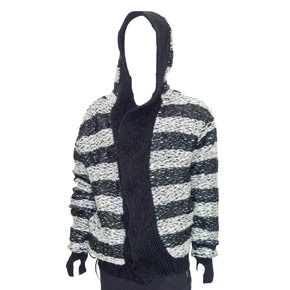 This striped jacket is knitted with a mixture of 68% acrylic, 20% polyamide, and 12% mohair. This jacket can be worn various ways and features a snap closure, hood, and an inside lining for extra comfort and warmth. If you like this jacket, but pullovers are more your style, check out our Black & White Stripe Mohair Border Pullover. New from Casa Almacen in Argentina, this handsome black cotton linen jacket featuring two pockets and a brass pin closure. This jacket can be worn many ways and paired with countless outfits. The black color and destroyed details make this jacket perfect for anyone who loves unique and fashionable outerwear. This handsome poncho by Casa Almacen is made by hand in Argentina. 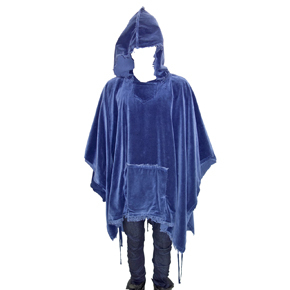 Made from liberty blue colored velvet, this poncho also features a soft linen lining. Lazaro Soho is proud to bring you this incredibly unique look that can only be made by Casa Almacen. Brought to you by the one and only A.F. 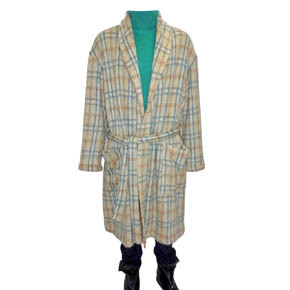 Artefact, the stylish Ivory, Blue, & Mustard Coat Robe plaid coat robe is just begging for a spot in your wardrobe. Made from a lush mixture of 55% acrylic, 30% nylon, and 15% wool, this robe is comfortable and warm. The perfect remedy for chilly winter and fall mornings. Robe comes with a belt and large front pockets. 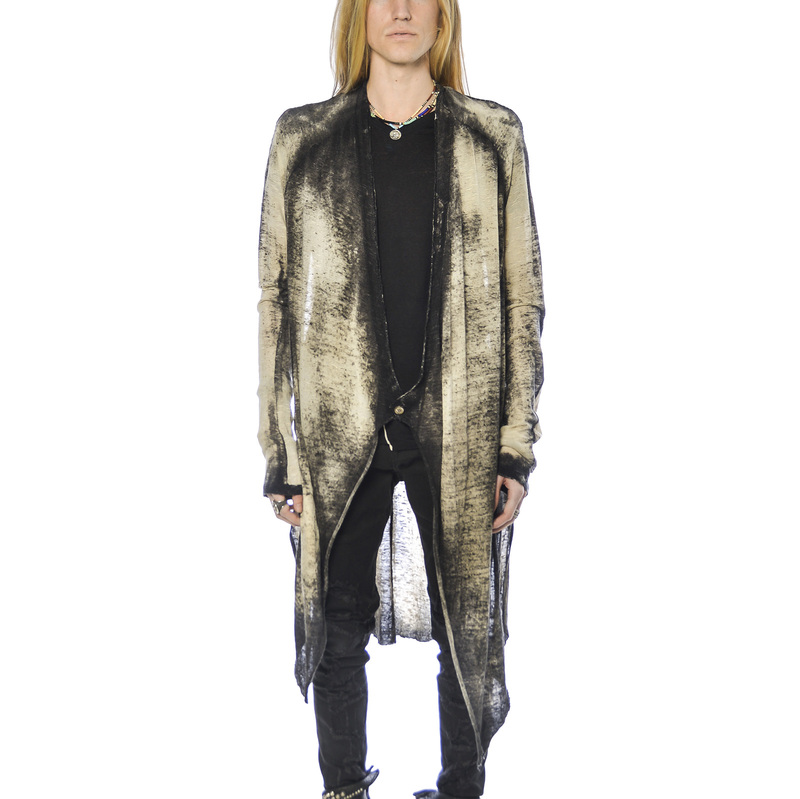 If you like this robe, but are looking for a different color, please check out our A.F. Artefact Blue & Red Coat Robe. This blue and red plaid coat robe is brought to you by the one and only A.F. Artefact. 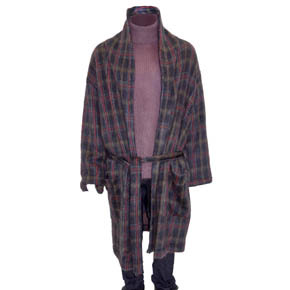 Made from a lush mixture of 55% acrylic, 30% nylon, and 15% wool, this robe is comfortable and warm. The perfect wardrobe staple for those chilly winter and fall mornings, this robe comes with a belt and large front pockets. Also check out our A.F. Artefact Ivory, Blue, & Mustard Coat Robe. Created to accent your Winter and Fall wardrobe, this distressed fabric jacket is made from 100% cotton. 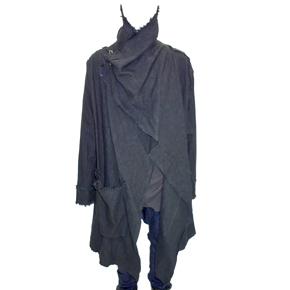 The steel grey fabric is very soft to the touch with three buttons on the front. Pictured here worn as coat and blazer. Pair this jacket with your favorite sweater and jeans for a timeless and comfortable outfit. A flair that will bewitch the wearer, KMRii does it again with their signature discharged pattern featured on this elongated cardigan. 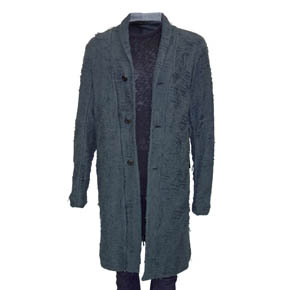 Maximum comfort and style is on display with in this cozy cardigan. 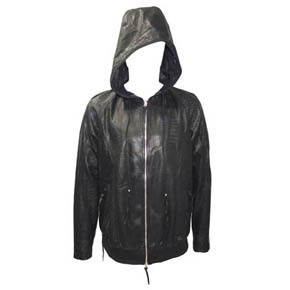 This handsome jacket features perforated leather for breathability, and a double zipper for a multitude of wearing options. This hoodie is perfect for everyday wear or special events, and will keep you looking and feeling cool. 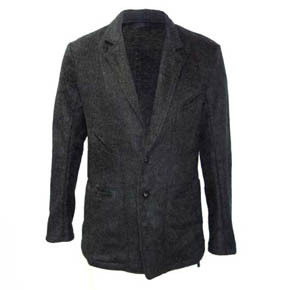 This Beaver Blazer brings you the class and style of a blazer coupled with the stygian feel of Kmrii. A sharp and exceptionally well-made piece of style, suited for a variety of looks and wardrobes. 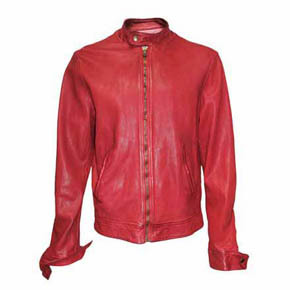 This red leather jacket by PHP Clothing features a vivid hand-painted Japanese Geisha displayed on it's back. A blast from the past with modern-day vibes, dapper gentleman seek out Lazaro SoHo for a must-have vest. 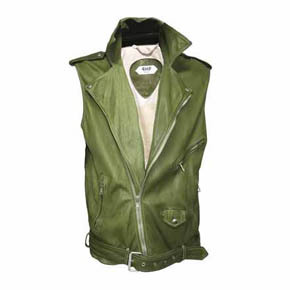 The vest is constructed of leather and featured in a olive-green coloring, a studded peace sign adorns the back for a rockin' vintage look.